Good Morning my darling Fawn Fans! Those that follow me on instgram know that I have a slight obsession with posting a daily photo of my baby girl all dressed up in outfits that I only wish came in my size. From her headband down to the shoes on her feet, she is wearing items that are from my latest instagram or etsy shopping spree. One of my favorite accessories that I always (try) to leave the house with her wearing is a headband of some sort. Her hair hasn't quite grown out yet and for some reason wearing a ruffled sleeved shirt or the color pink isn't enough of an indicator to many passerbyers, so a headband is must. 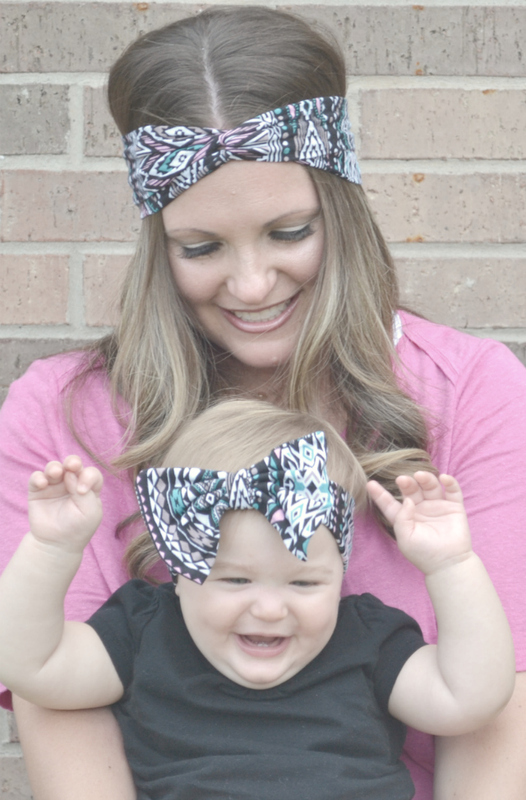 The latest trend in hair accessories, that I can't get enough of, are headwraps! I own a few myself and I'm just now starting to collect them for Kenzie and so far she is loving them! 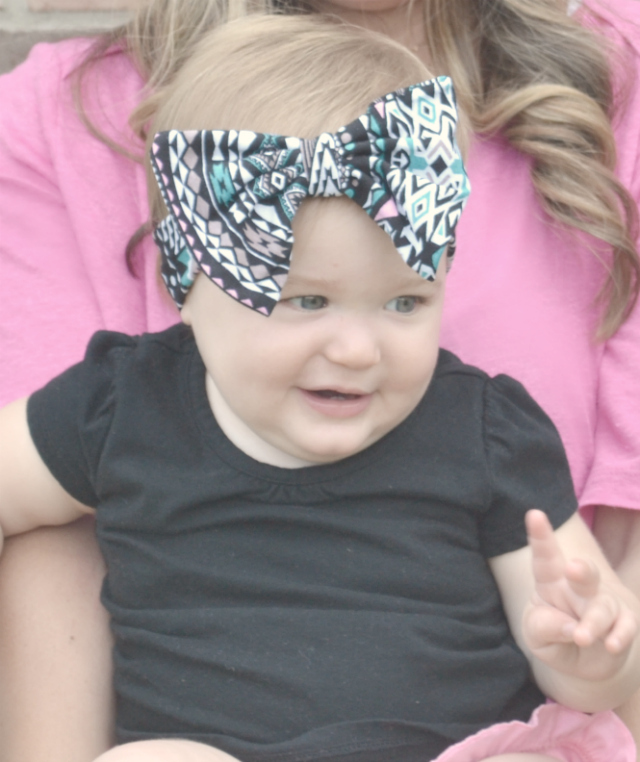 The soft and stretchy lightweight fabrics fit her so comfortably unlike a lot of her headbands that have become too tight and leave a ring around her poor little head. Headwraps also come in so many amazing prints and colors. 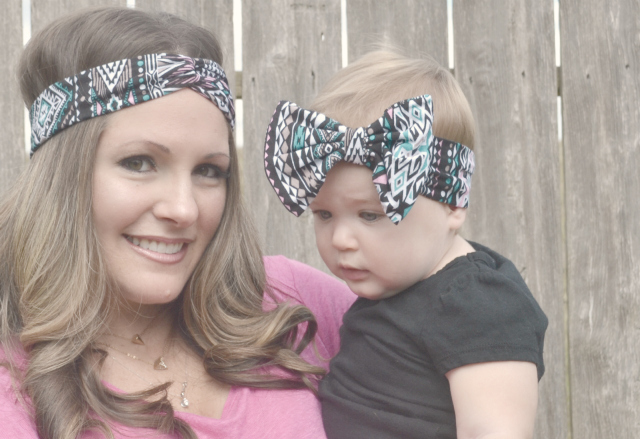 It's hard to buy just one, especially if you have a daughter that needs one in every print and color too! 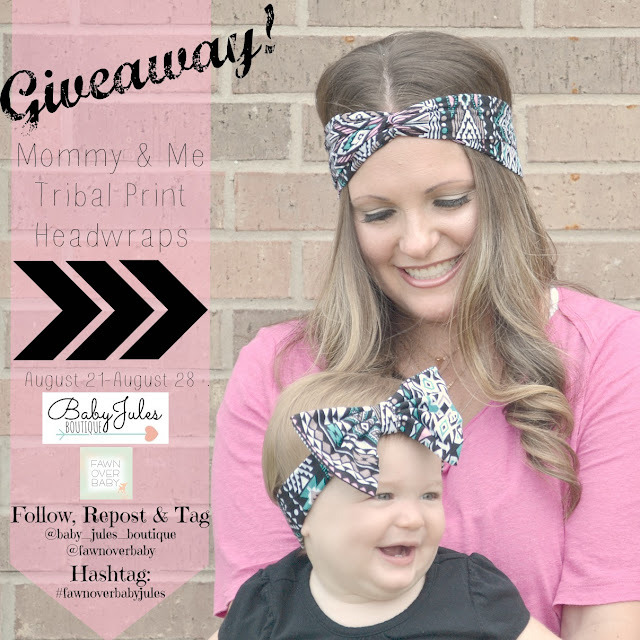 On Instagram - August 29th, a mommy and daughter duo will be randomly selected to win these ADORABLE matching headwraps and I'm just as excited as you are to find out who! If you can't wait and would like to pick up a set right away, visit Baby Jules Boutique on etsy. 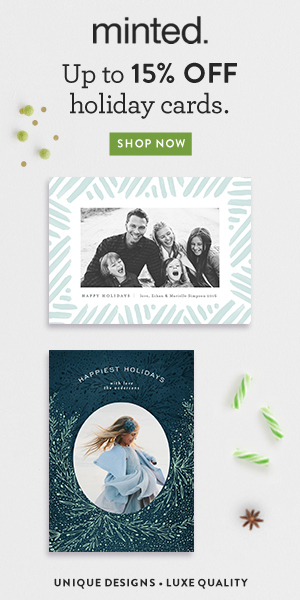 If you don't see a particular style or print that you are looking for, convo Karissa with your ideas, as she "loves custom orders!" !! Don't Forget To Enter and Check Back August 29th !! LOVIN' these wraps! 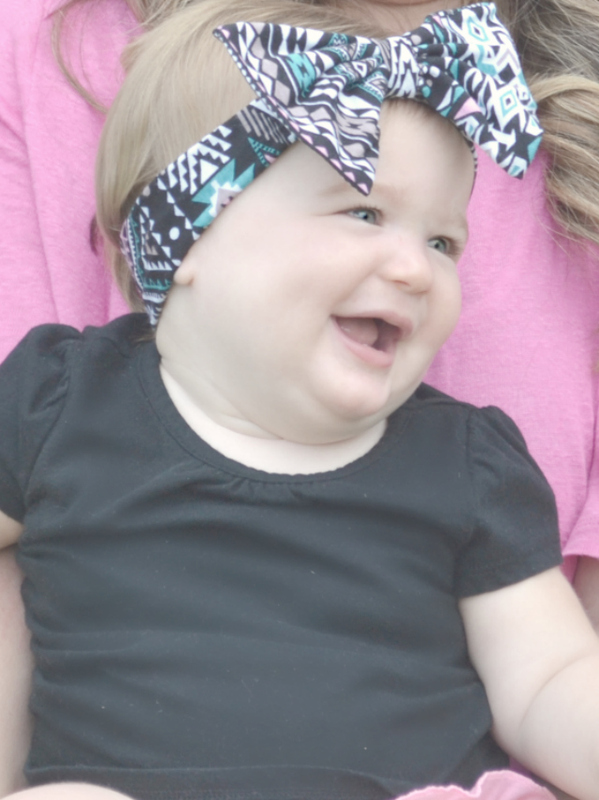 The big bow on the baby band is so cute, we're obsessed with big bows ;) Your hair is fabulous by the way! Thank you Megan, you are so sweet!! I'm obsessed with big bows too - this is the only one she will actually keep on, lol! You should totally enter this giveaway!! Thank you Sierra! You are the sweetest!! We had so much fun posing for these! Thank you Heather!! 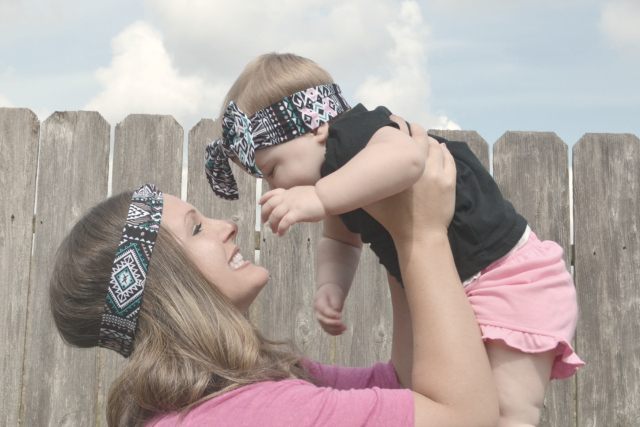 That is so great that you are making cloth headbands, so much more comfortable! 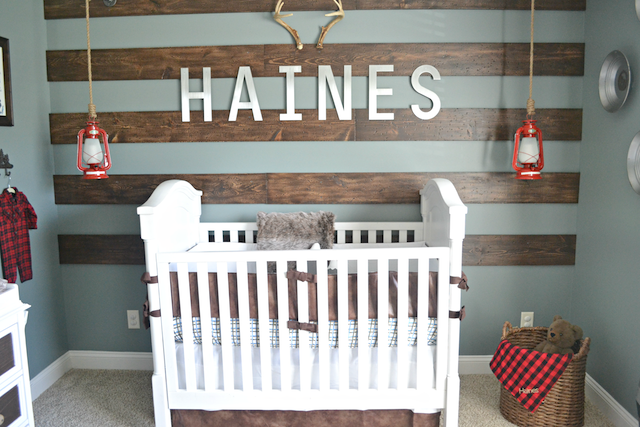 I would love to see the ones you make for the littles!